An aerial view of the damaged Fukushima Daiichi nuclear power plant. Tokyo (CNN) -- Japan's Fukushima Daiichi nuclear power plant experienced full meltdowns at three reactors in the wake of an earthquake and tsunami in March, the country's Nuclear Emergency Response Headquarters said Monday. The nuclear group's new evaluation, released Monday, goes further than previous statements in describing the extent of the damage caused by an earthquake and tsunami on March 11. The announcement will not change plans for how to stabilize the Fukushima Daiichi plant, the agency said. Reactors 1, 2 and 3 experienced a full meltdown, it said. The plant's owner, Tokyo Electric Power Co., admitted last month that nuclear fuel rods in reactors 2 and 3 probably melted during the first week of the nuclear crisis. It had already said fuel rods at the heart of reactor No. 1 melted almost completely in the first 16 hours after the disaster struck. The remnants of that core are now sitting in the bottom of the reactor pressure vessel at the heart of the unit and that vessel is now believed to be leaking. A "major part" of the fuel rods in reactor No. 2 may have melted and fallen to the bottom of the pressure vessel 101 hours after the earthquake and tsunami that crippled the plant, Tokyo Electric said May 24. The same thing happened within the first 60 hours at reactor No. 3, the company said, in what it called its worst-case scenario analysis, saying the fuel would be sitting at the bottom of the pressure vessel in each reactor building. But Tokyo Electric at the same time released a second possible scenario for reactors 2 and 3, one that estimated a full meltdown did not occur. In that scenario, the company estimated the fuel rods may have broken but may not have completely melted. Temperature data showed the two reactors had cooled substantially in the more than two months since the incident, Tokyo Electric said in May. The earthquake and tsunami knocked out cooling systems at Fukushima Daiichi, causing the three operating reactors to overheat. That compounded a natural disaster by spewing radioactive material into the atmosphere. Tokyo Electric avoided using the term "meltdown," and says it was keeping the remnants of the core cool. But U.S. experts interviewed by CNN after the company's announcement in May said that while it may have been containing the situation, the damage had already been done. "On the basis of what they showed, if there's not fuel left in the core, I don't know what it is other than a complete meltdown," said Gary Was, a University of Michigan nuclear engineering professor and CNN consultant. And given the damage reported at the other units, "It's hard to imagine the scenarios can differ that much for those reactors." A massive hydrogen explosion -- a symptom of the reactor's overheating -- blew the roof off the No. 1 unit the day after the earthquake, and another hydrogen blast ripped apart the No. 3 reactor building two days later. A suspected hydrogen detonation within the No. 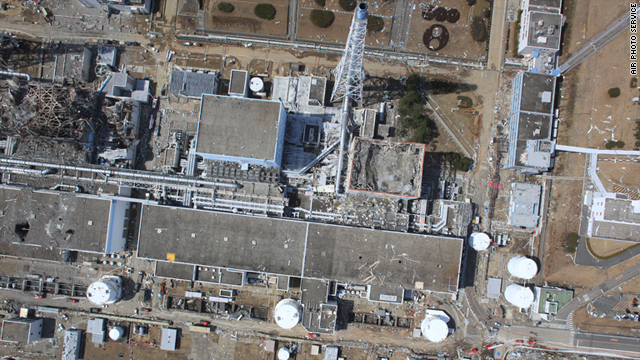 2 reactor is believed to have damaged that unit on March 15. CNN's Yoko Wakatsuki and Kyung Lah contributed to this report.